Well damn. I went and slacked off right past my fifth blogiversary, which was August 8. 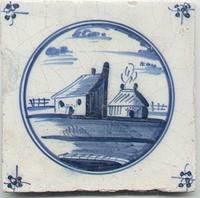 This Delft tile is from the 18th century in the Netherlands. 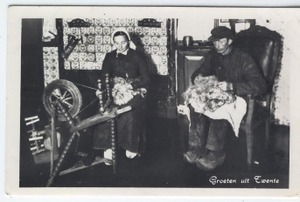 This is what the shepherdess' farmhouse might have looked like. 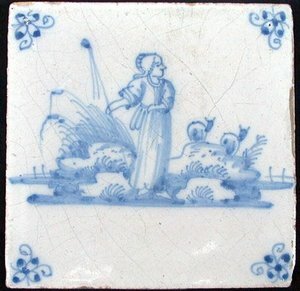 The tile dates to approximately 1775. Tiles like these were used as wall decoration and hearth surrounds. Let Us Not Forget. 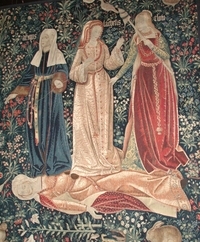 . .
. . .the shepherds who tend the lovely sheeps. This fellow is in Cappadocia , which is a region in Anatolia , a part of Turkey. The well-worn traditional cape he is wearing is felt made from his sheep's wool and juxtaposes nicely with his red wellies. I wish I could hear what he's playing on his flute. Anatolia is the source of the Anatolian Shepherd Dog, one of the livestock guardian dog breeds. But that will be the subject of another post. 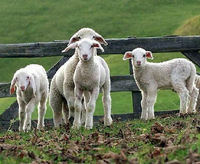 . . .the lovely sheeps.